Last month, Mark McKinney was walking around the East Village with his son. From 1996-1997, he ran a gallery, McKinney Arts, at 526 E. 11th St. between Avenue A and Avenue B. 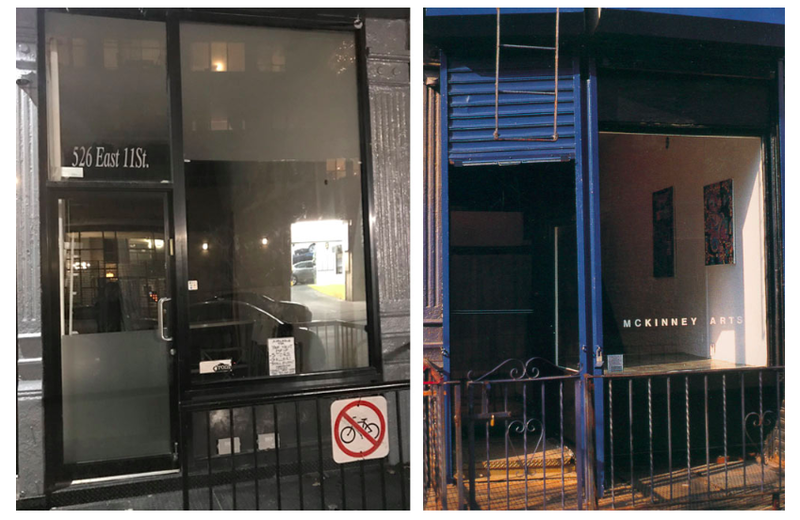 When he went by the storefront in December, he saw that it was a flex rental space available for pop-up shows. "I figured, what's the likelihood of the exact same space being available 22 years later?" McKinney, who now lives and works from Belleville, N.J., told me. "So I rented the space for this weekend, tracked down a number of artists who I represented 22 years ago, and I've curated a show called "McKinney Arts REDUX." Peter Bregoli, Jennie Booth, Peter Carey, Marguerite Day, Fred Fleisher, Mark McKinney, Tony Nogueira, and Brad Terhune. 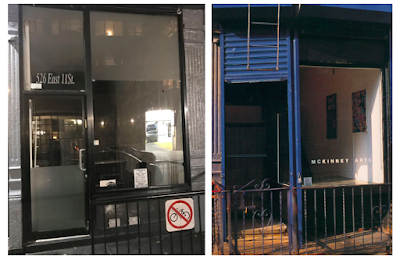 Saturday, 2-9 p.m., with an opening reception from 6-9 p.m.
Before moving to 11th Street, McKinney lived on Stanton Street and ran an impromptu exhibition space there. "The 'bedroom' was so small, I couldn't fit my bed in there, so I turned it into a gallery," he said.